Hostels Are Great Places To Stay Too. Why Not Try A Luxury Hostel The Next Time You Travel? 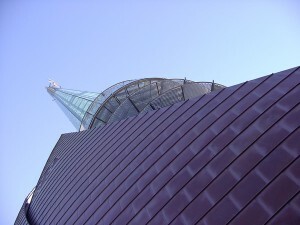 Home >> Blog >> Passrider >> Hostels Are Great Places To Stay Too. Why Not Try A Luxury Hostel The Next Time You Travel? The first time I’ve ever stayed in a hostel in my adult years was back in 2004. I was in Perth, Australia, doing a southern hemisphere crawl, and needed a place to stay for a few hours and a hotel room was way too expensive. So I stayed at a local hostel. It was 26 AUD/day and I was able to get a shower, sleep and some food in the 10 hours I spent in Perth. Over the last two years I’ve stayed at many a hostel during my travels. Some reviews to follow. Some have been less than perfect, others way cool. So much so, that I partnered with HostelWorld, so you too can check out different hostels the world over. Just click on the ad to the right when necessary. During my travels the last two years, I met a guy named Kash in Porto, Portugal. When we met, he thought I was someone else, which is quite funny and a story for another time. Kash is a budget traveler and unknown to me at the time he was in the process of collecting data for his ebook. This brings us to the reason for this post. 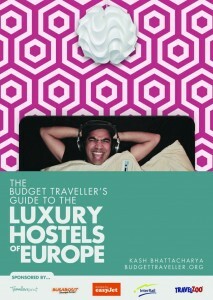 Kash has finally finished his ebook, “The Budget Traveller’s Guide To The Luxury Hostels of Europe” and its free! yes, its free, except for giving him your email address which subscribes you to his newsletter which will bring you awesomeness in terms of budget travel tips. The ebook looks at hostels throughout Europe that offers a little more than just a room. Did you even know that hostels have single rooms? And sometimes they cost less than the going rate for a “normal” hotel room. Kash’s book talks about Luxury Hostels in Europe with details about how to get to the hostels, what to look for and what to expect. So check out Kash’s ebook, The Budget Traveller’s Guide To The Luxury Hostels of Europe and the next time you travel, try one of the hostels in his book. Please leave a comment below if you’ve ever stayed at a Hostel and what has your experience been. Also, once you check out the book let me know what you think. I am planning my first Hostel stay in Paris, nervously, and hope that your book can inspire and convert me! Next post: Where Are You Heading Or Where Are You For This U.S. Holiday Weekend?